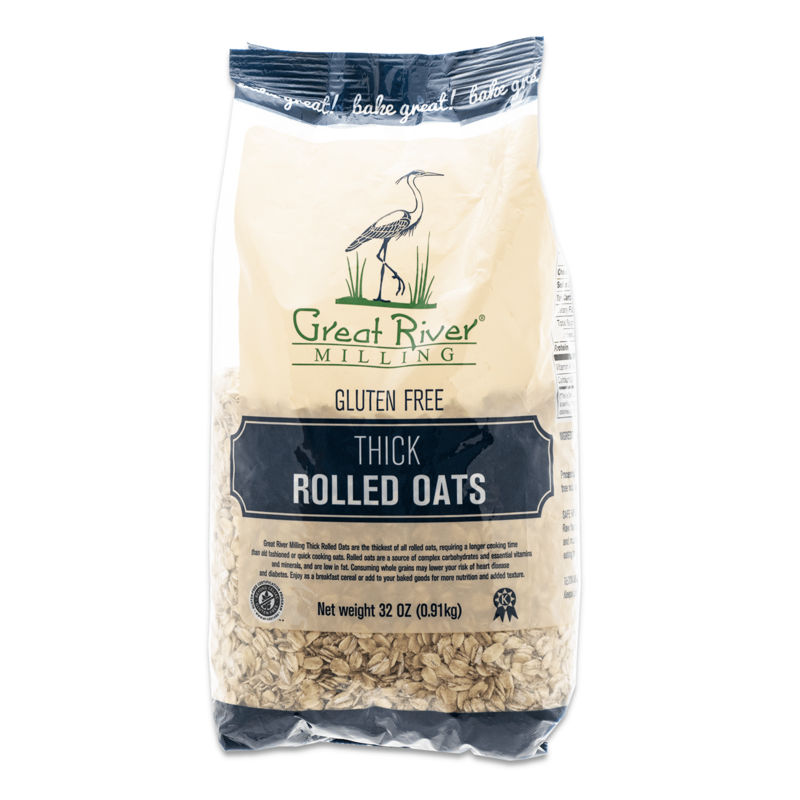 Great River Milling Thick Rolled Oats are the thickest of all rolled oats, requiring a longer cooking time than old fashioned or quick cooking oats. 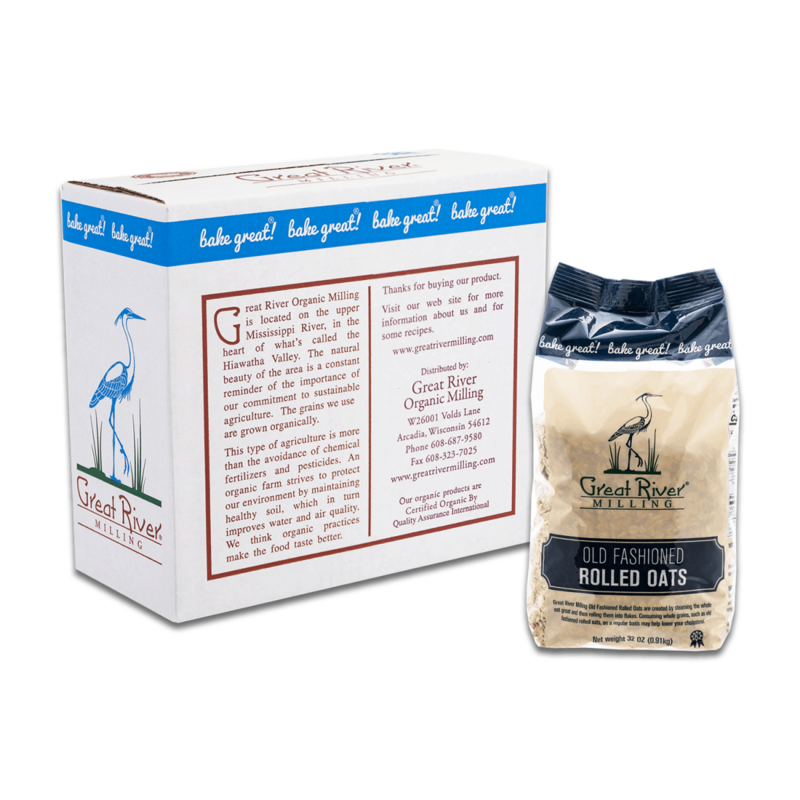 Rolled oats are a source of complex carbohydrates and essential vitamins and minerals, we are low in fat. 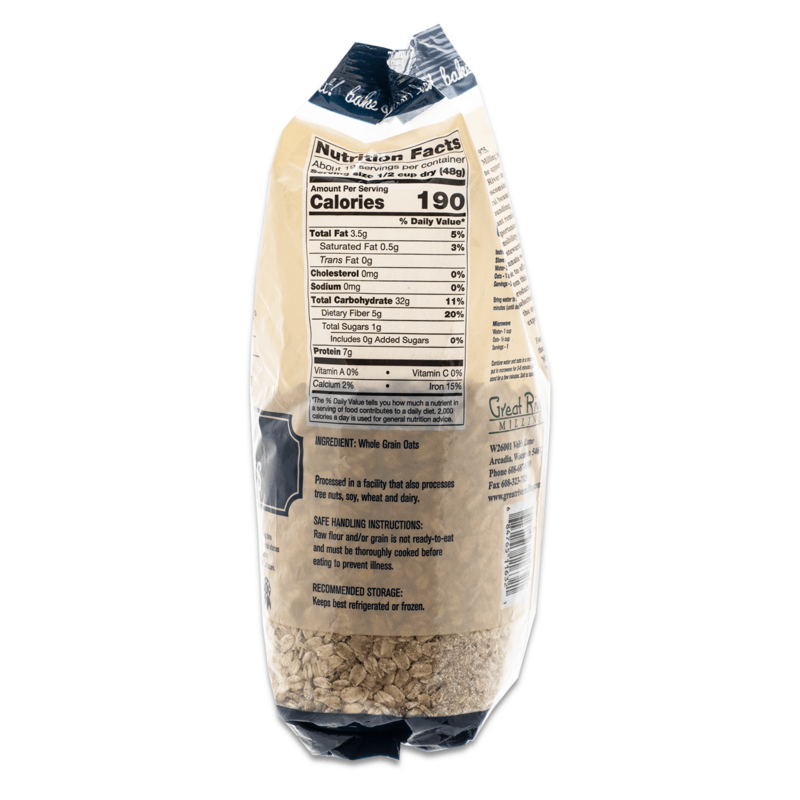 Consuming whole grains may lower your risk of heart disease and diabetes. 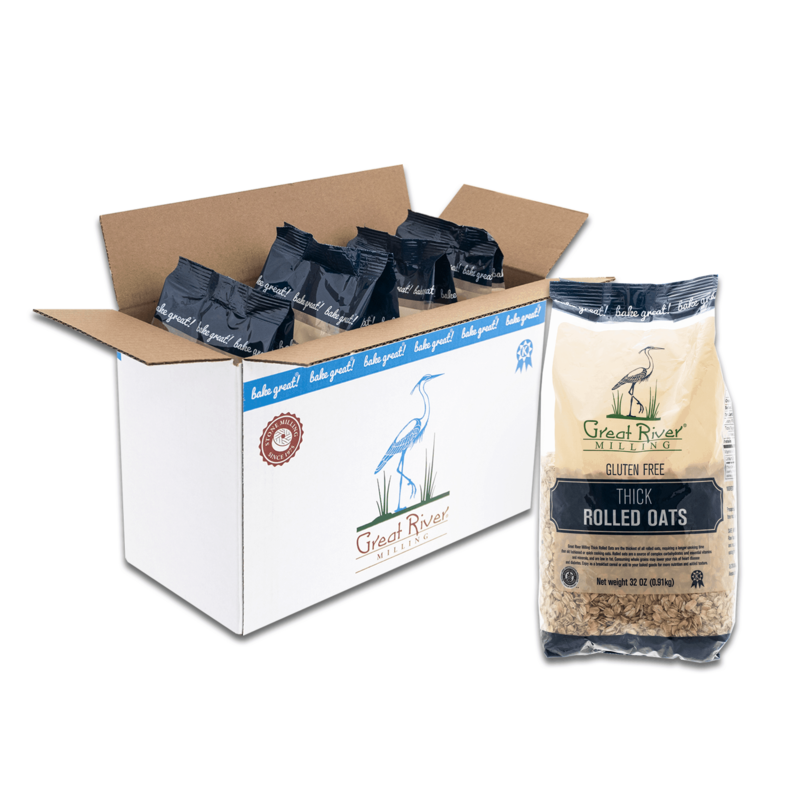 Enjoy as a breakfast cereal or add to your baked goods for more nutrition and added texture. Bring water to boil. 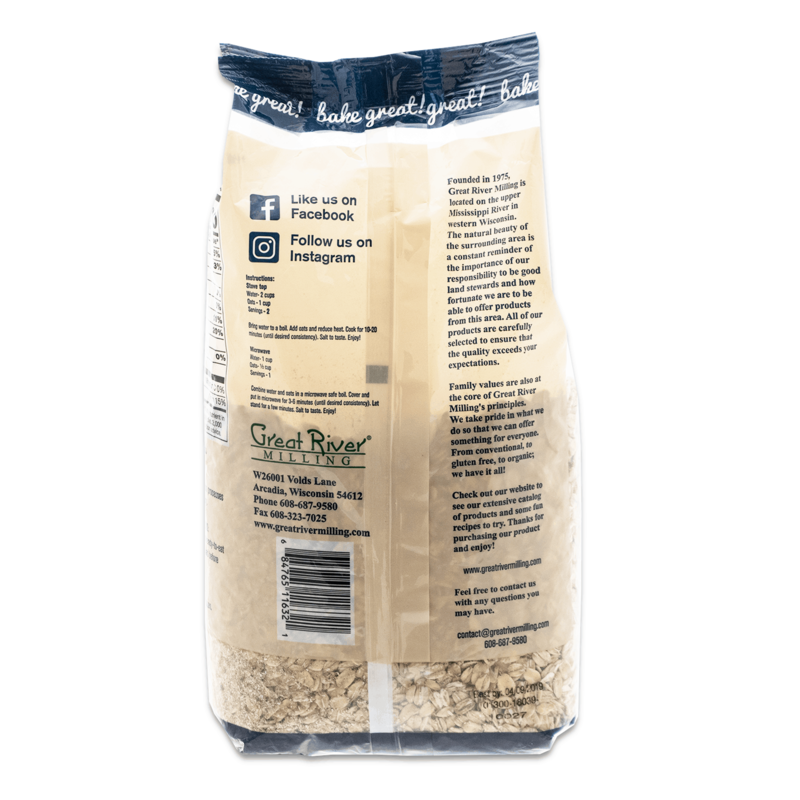 Add oats and reduce heat. Cook for 10-20 minutes (until desired consistency). Salt to taste. Enjoy! 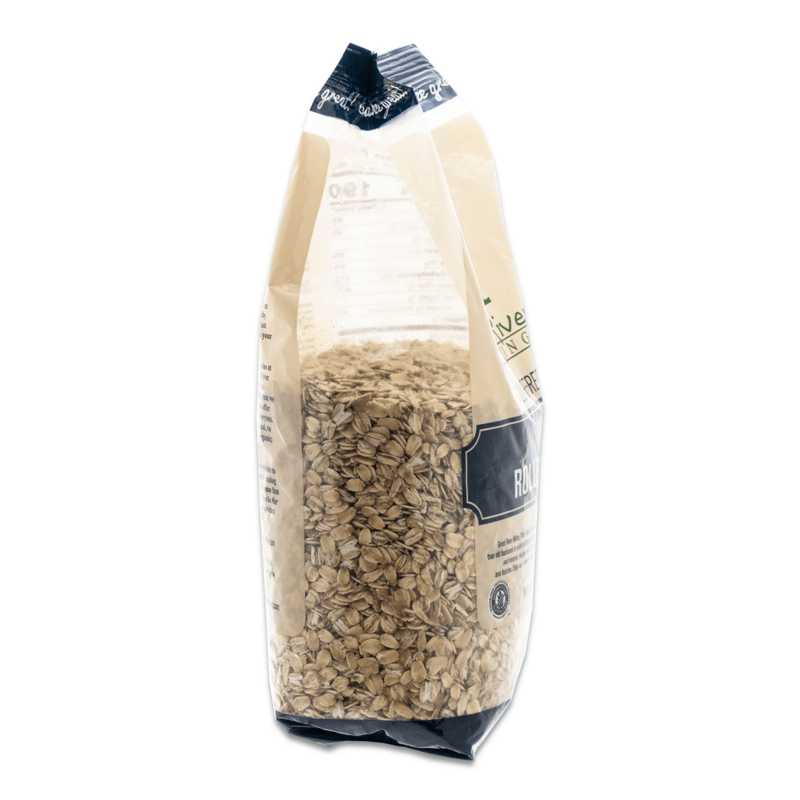 Combine water and oats in a microwave safe bowl. Cover and put in microwave for 3-6 minutes (until desired consistency). Let stand for a few minutes. Salt to taste. Enjoy!